Do you love taking photos in the Outback and want to WIN $1000? Entries are currently open for The Heart of Our Outback – Landscape and Nature Photography Prize, presented by Create Ranger Parks with the support of the WA Photographic Federation. The competition will showcase the unique landscapes and natural beauty of WA’s Pilbara, Mid West and Gascoyne. Create Ranger Parks is a community driven proposal to ensure protection for 5 million hectares of WA’s remarkable Outback heart. We’re proud to be a supporter of the Create Ranger Parks initiative – and entering the photo competition is one way you can get involved! Enter your best landscape and nature images to help inspire all Western Australians and encourage the State Government to create a new national park network, managed by Indigenous rangers, for all of us to experience and enjoy. All shortlisted entries will be exhibited from Friday 24th August until Tuesday 28th August at the Gary Holland Community Centre in Rockingham. The Premier, Mark McGowan, has been invited to open the exhibition. A grand prize of $1000 cash will be awarded to the best overall image in the exhibition. Entries are now open and will close on Sunday 5th August. Share with your friends and get snapping! We can’t wait to see some of your fabulous images make it into the exhibition in August. The Littlewell mob in Western Australia’s mid-west are on the trail of realising a dream. Seven years after setting out to preserve the old Littlewell reserve where they and family members grew up, it is set to open as a heritage precinct and walking trail by the end of the year. The Littlewell reserve sits on the outskirts of Mingenew, a town nearly 400km north of Perth and about 100km south-east of the coastal city of Geraldton. A 500m walking trail that incorporates the reserve’s history and the stories of those who lived there could open before Christmas. Wattandee elder Thomas Cameron, who grew up at Littlewell, says the four hectare reserve — which operated from 1898 until 1972 — was originally named the Mingenew Aboriginal Reserve, but residents called it by another name. “We called it Littlewell because prior to having two-bedroom houses built by Native Welfare at the time, we lived in humpies and the well supplied people who lived on the reserve at the time,” Mr Cameron, 63, said. Thomas Cameron and the people featured in this article and in the photo members of the Southern Yamatji claim group. 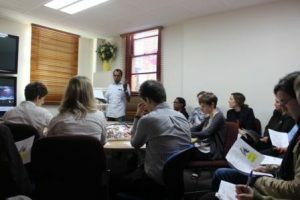 The Department of Planning, Lands and Heritage (Department) engages with Aboriginal Western Australians and all levels of Government to improve the delivery of services and to facilitate the development of policy and programs, which deliver suitable economic, environmental and social benefits to Aboriginal communities. The Department is seeking two experienced individuals to undertake the role of Senior Heritage Officer. One role is based in Geraldton and one is based in South Hedland (although the Pilbara role may be located in Karratha or Roebourne and applications are also encouraged from these areas). Both are permanent full-time positions. Aboriginality is a genuine occupational requirement of this position under Section 50D of the WA Equal Opportunity Act. Support the Team Leader in identifying and achieving heritage outcomes in line with the agreed Directorate outcomes. Please use the links below to view the Department website for a job description form and further information about the duties and the job related requirements which will be used to select the successful candidate. Suitable candidates, not selected to fill this vacancy, may be considered for other employment opportunities (in like positions and like locations) over the next 12 months. YMAC sends our heart-felt congratulations to Ollie George for receiving the Male Elder of the year award at the NAIDOC 2017 national award ceremony in Cairns. Mr George led several Badimia families and the Bundiyarra-Irra Wangga Language Centre on a project to create a new Badimia Dictionary, to preserve culture and language that can be shared across generations. This year the annual NAIDOC Week theme was celebrating the importance, resilience and richness of Aboriginal and Torres Strait Islander languages. The focus: Our Languages Matter. 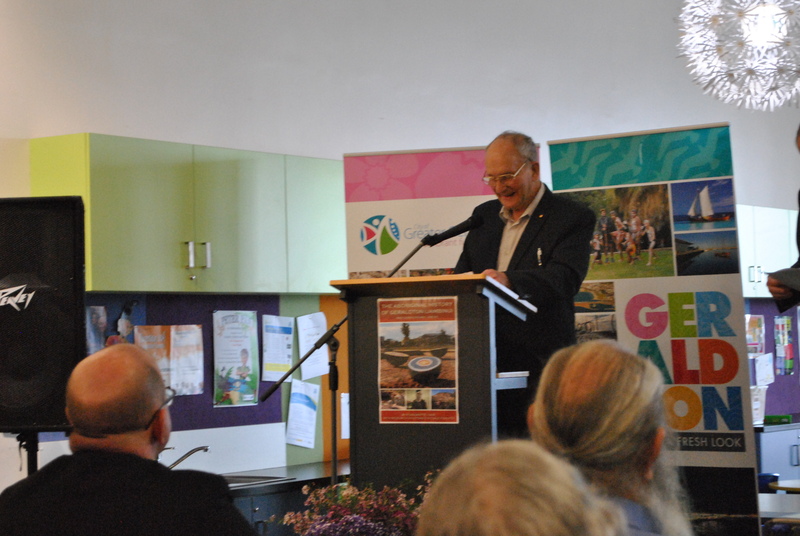 As one of the last people living that can speak Badimia – an endangered Aboriginal language – Mr George’s 20 year commitment to documenting language and culture was recognised as a significant contribution to Aboriginal heritage. Use the link below to view Ollie’s speech. The Aboriginal History of Geraldton (Jambinu) and Surrounding Areas by Stan Gratte and Dale Forsyth. This series highlights Geraldton’s rich Aboriginal history. The book was showcased on 19 August at the Launch@The Library along with the new Yamaji Drive Trail – a tourist guide, celebrating Yamatji history and culture in the Greater Geraldton area. The author paints an overview of life for Aboriginal people living in the Geraldton area before and after the region was settled by Europeans. This publication is now available for $9.95 from the City of Geraldton Regional Library and can also be purchased from the Geraldton Visitors Centre and WA Museum. The City of Greater Geraldton officially launched its “Welcome to Country Guide” last Friday night, as part of NAIDOC Week. The guide includes up to date information for City Officers, Councillors and the broader community on protocols and processes when presenting a Welcome to Country or Acknowledgement of Country. For more information on the Welcome to Country, or to view the guide, visit the City website on http://www.cgg.wa.gov.au/ and search “Welcome to Country”. Filed under: Bundiyarra Irra Wanga language program, Geraldton, Godfrey Simpson, NAIDOC week 2015, Tom Price. NAIDOC Week 2015 is now in full swing, and YMAC has been busy celebrating the achievements of Aboriginal people. You can find out what events are happening near you by visiting the official NAIDOC site. The WA Museum in Geraldton is looking for new members for its Community Advisory Committee, and Aboriginal applicants are strongly encouraged to apply. The Museum is now accepting expressions of interests for two voluntary community representative positions. 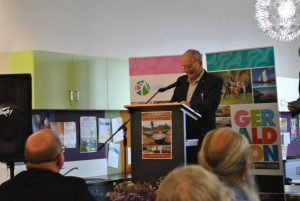 WA Museum CEO Alec Coles said he hopes to receive Expressions of Interest from people who want to be part of the history and future of Geraldton and the Mid West. Expressions of Interest including a statement outlining suitability and a current resume should be mailed to Leigh O’Brien, WA Museum – Geraldton, PO Box 2229, Geraldton, WA 6530, or emailed to leigh.o’brien@museum.wa.gov.au by 4pm, 19 June 2015. 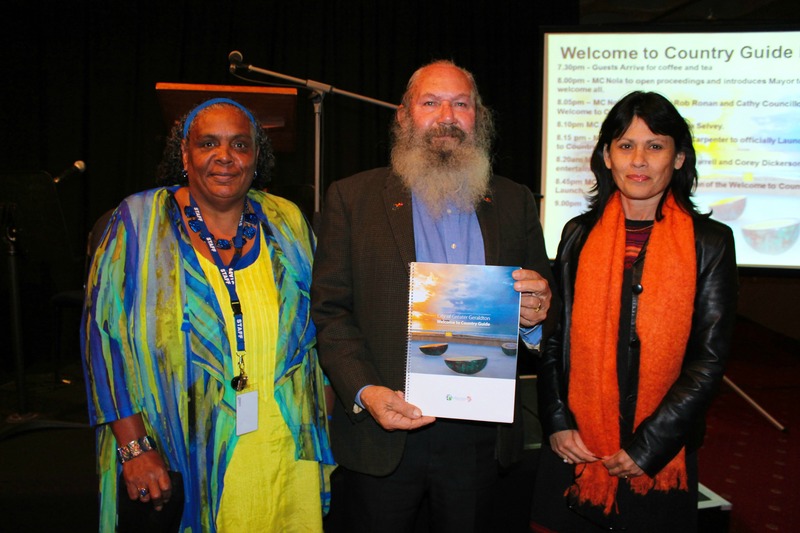 There are positive initiatives across Western Australia committed to preserving traditional languages. Nyangumarta speakers in Hedland recently underwent training to become qualified interpreters for hospitals and courts. The training facilitated by the National Accreditation Authority for Translators and Interpreters is hoped to increase access to services for Aboriginal people. Weerianna Street Media in collaboration with linguist Janelle Mowarin and the Wangka Maya Pilbara Aboriginal Language Centre have created language videos for schools and other resources to complement a Ngarluma online dictionary. The Wangka Maya dictionary and Ngarluma Language Resource are available online here. 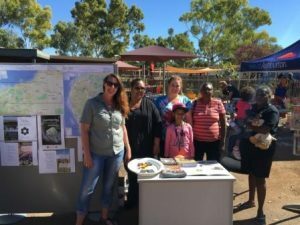 Geraldton’s Bundiyarra-Irra Wangga Language Centre recently launched a Nhanda alphabet poster along with other educational posters which promote the Nhanda language. Anyone interested in contributing to the Nhanda dictionary project may call Ms Sitorus at the Bundiyarra-Irra Wangga Language Centre on 9920 7900.